Have you ever heard of Million Paws Walk? Million Paws Walk is held every year to raise funds for the Royal Society for the Prevention of Cruelty to Animals more commonly referred to as the RSPCA. The Million Paws Walk has been a huge success in Western Australia (WA) for the last two decades, but this year is special, because 2016 is WA's 20th Anniversary of Million Paws Walk. The goal is to make this extra special Million Paws Walk the biggest and best ever. 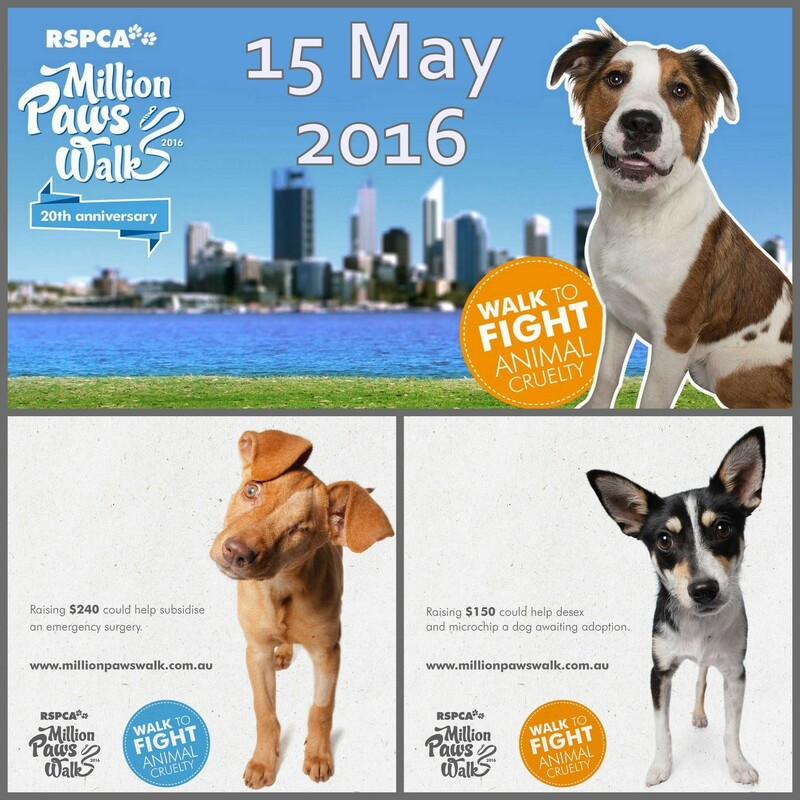 If you've ever considered taking part in the Million Paws Walk 2016 is the year to do it! 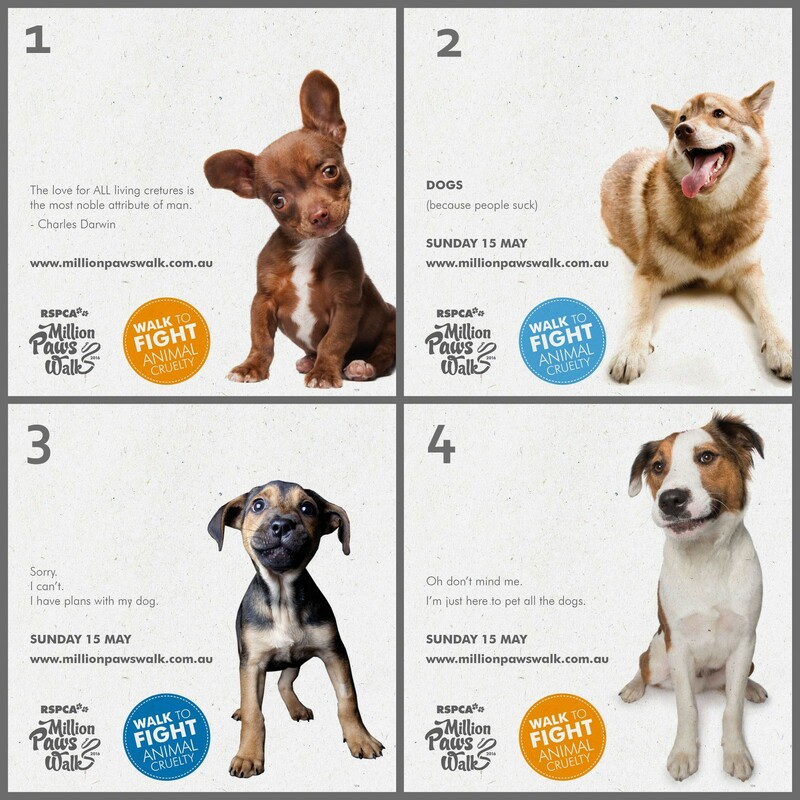 Millions Paws Walk is an Australia Wide fund-raiser event, I used to think that there was only one walk location per state but they are held all over and there's sure to be a walk near you. You can register early or just rock up on the day. It's the pawfect day out for the fur kids, there's the Canine Adventure Course, VIPooch area, great food at the doggy Diner, or even get a check-up from some brilliant Vet students just to mention a few of the attractions at the main event. Over 90% of RSPCA funds are from community donations. Fund raising events such as Million Paws Walk are vital to reaching funding targets. Funds are used to rescue, rehabilitate and rehome hundreds of WA animals each year, made possible because of the generosity of our animal loving community. Which puppy thinks like you? "Sorry, I can't. I have plans with my dog." "Oh don't mine me. I'm just here to pet all the dogs." Did I mention there's show bags? And they're free!